Scuba diving in Belize is an extremely popular tourist activity, and draws hundreds of thousands of visitors to Belize each year. 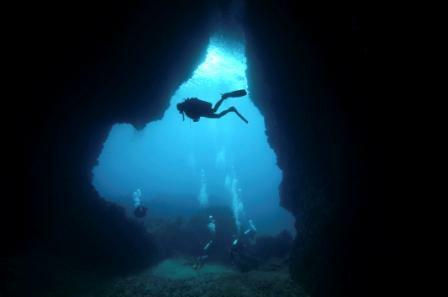 With The Great Blue Hole, which is considered one of the best scuba diving spots in the world, as well as other exciting scuba destinations such as Shark Ray Alley and the rest of the Hol Chan Marine Reserve, Belize is really in a class of its own when it comes to diving. As you can probably imagine, diving is one of the most popular activities in Belize, particularly on the island of Ambergris Caye. But what if you don’t know how to scuba dive? Will you feel left out? The answer: Not at all! Getting certified to scuba dive in Belize is not only simple and straightforward, but also great fun. There are many diving certification options on Ambergris Caye, and what better place to learn than surrounded by beautiful wildlife and natural structures. There are a variety of scuba diving certifications available in Belize, ranging from special weekend certifications for those with limited time, to adventure diving certifications intended for search and rescue or even exploring shipwrecks. Not sure if you are ready to jump in the ocean with all that equipment? Some dive centers actually offer brief lessons in a controlled environment, allowing you to adjust to underwater breathing and the feel of the equipment before even stepping on the boat. Getting certified to scuba dive in Belize is truly a unique experience. Why get certified in a landlocked pool when you can do so in the azure waters of the Caribbean Sea? There are many scuba diving providers on Ambergris Caye that have certification classes, and once you complete one you are certified for life. Like so many things on Ambergris Caye, the scuba diving experience available to you will stick with you for a lifetime. While there is no shortage of reasons to return to Ambergris Caye, diving down through historic shipwrecks should be an exciting enough prospect to get you checking airfares as you plan your next Caribbean adventure. Find out more about all the great things to do while you're visiting Belize.